Toss the cubed potatoes with extra virgin olive oil, 1 tbsp bbq seasoning then transfer the potatoes into a cooking spray coated baking dish. While the potatoes are cooking, in a large bowl mix together the chicken, bbq seasoning and bbq sauce, refrigerate. Once the potatoes are fully cooked, remove from the oven and lower the oven temperature to 400 F.
Top the cooked potatoes with the bbq chicken mixture. Bake for an additional 25 minutes, turning occasionally. 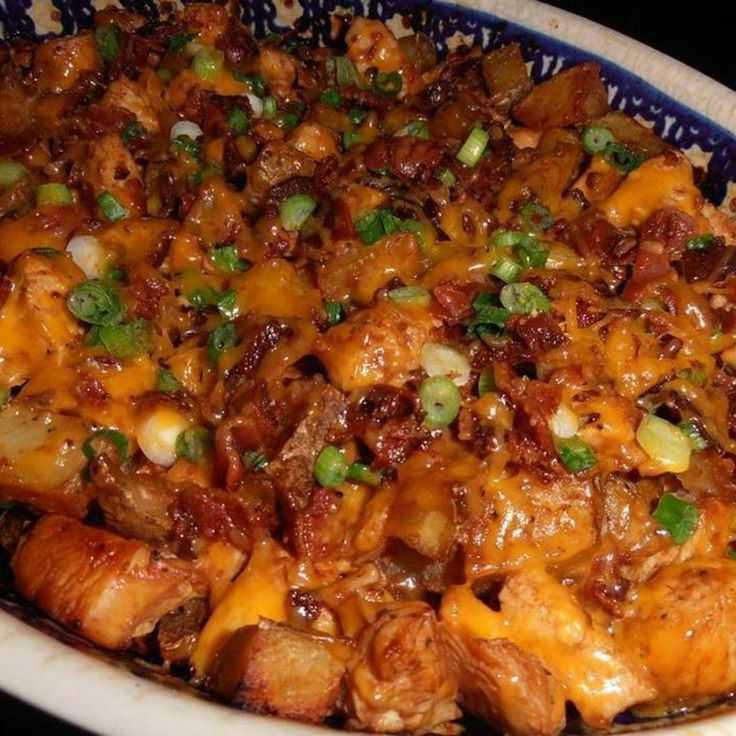 In another bowl mix together the cheese, bacon & green onion and top the chicken with the cheese mix. Return the casserole to the oven and bake for 5-10 minutes until cheese mixture is melted.